Life can be stressful enough without the added burden of worrying about what, when, and where you are going to be eating throughout the week. Without a plan, you may begin looking for options long after hunger strikes, causing you to overeat, eat too quickly, or choose calorie-dense foods such as fast food. Planning healthy meals ahead of time will set you up for success and reduce the stress associated with mealtime. 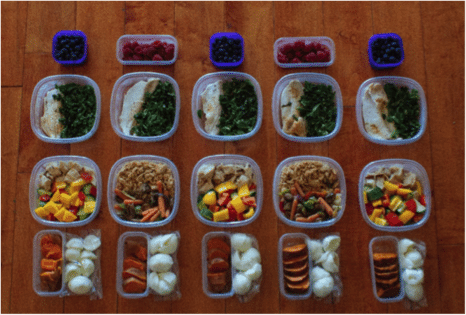 Meal planning can be an integral tool in the journey towards your health goals. Your dietitian can work with you to develop a meal plan that is right for you and your specific health needs, while providing tips to make mealtime easier and less stressful. Mayhem to Mealtime is a meal planning program designed to help you develop the tools necessary to become a meal planning pro! The online 8-week program consists of a series of emails sent out every Thursday. 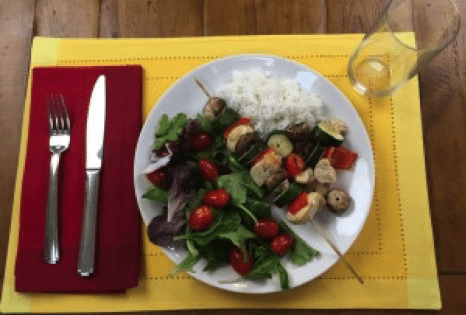 Each email contains 5 dinner ideas, recipes, a full grocery list, videos, and tips on how to make meal planning easier. Those who purchase the program will also get a free pdf copy of our workbook Taste the Sweet Rebellion: REBEL Against Dieting (a $30 value). Do you have specific dietary restrictions and don’t know where to start when it comes to getting a meal plan together? Your dietitian is here to help! Your dietitian will meet with you to learn about your food preferences, time limitations and culinary ability, and will work with you to develop a custom meal plan that is designed specifically for you.